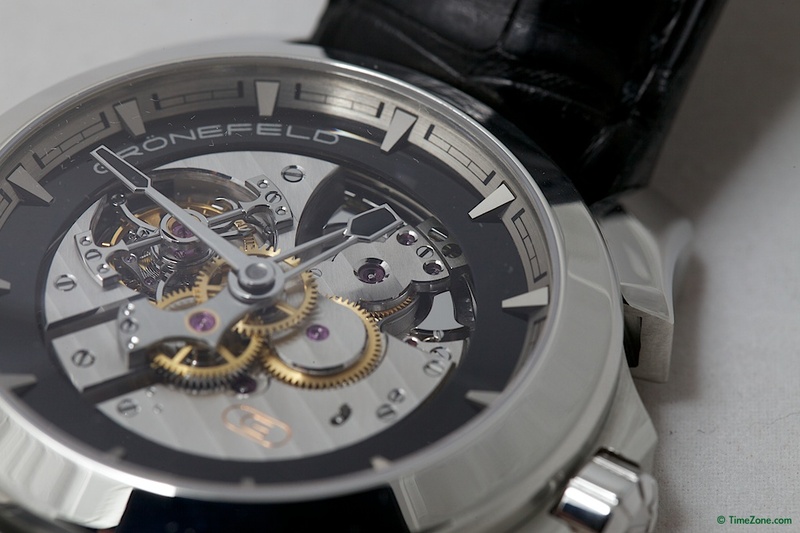 The One Hertz Techniek is the world's only series wristwatch with independent dead seconds and features a stunning, open-work dial that showcases the intricate upper mechanics of Grönefeld's own proprietary movement, the calibre G-02. 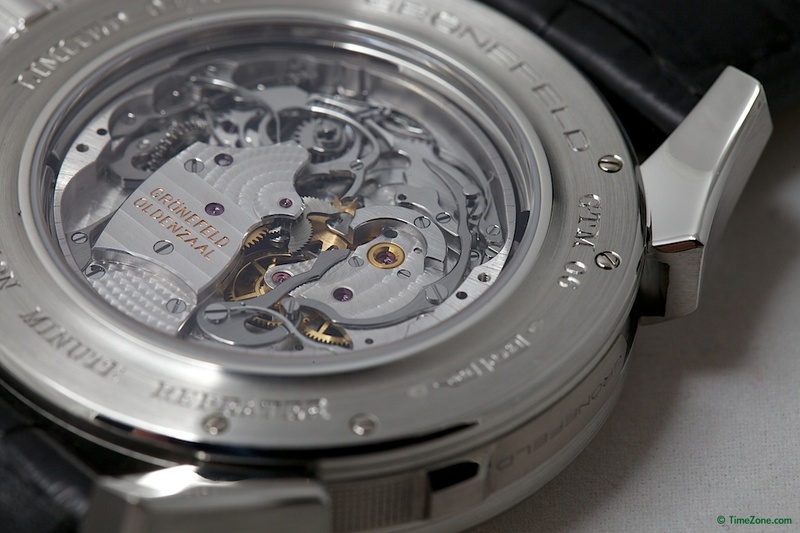 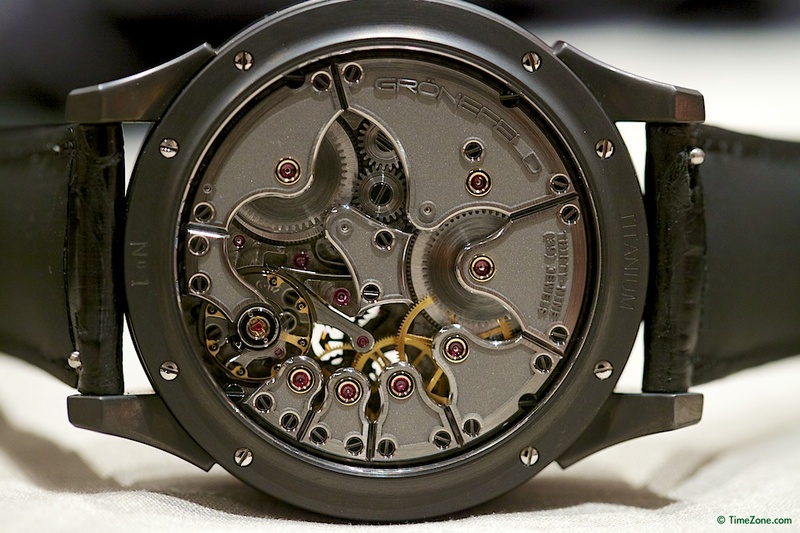 With the One Hertz, Bart and Tim Grönefeld have resurrected the long-neglected complication of dead seconds where the second hand advances in full steps of one second instead of the usual smooth sweeping action of mechanical seconds and re-positioned it on the pedestal of high precision. 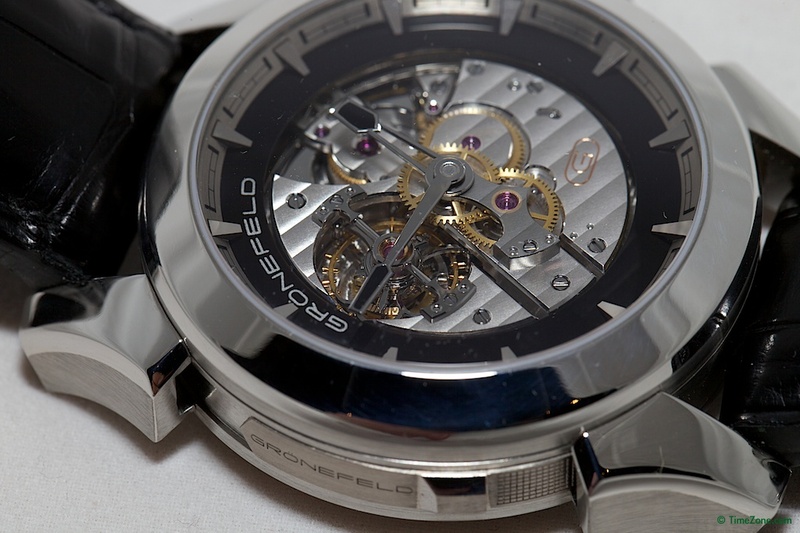 While the One Hertz Techniek's dial is dominated by the large dead seconds chapter ring in sapphire, the other indications, bridges and Grönefeld logo are crafted in stainless steel, which is relief engraved, bevelled and finished completely by hand. 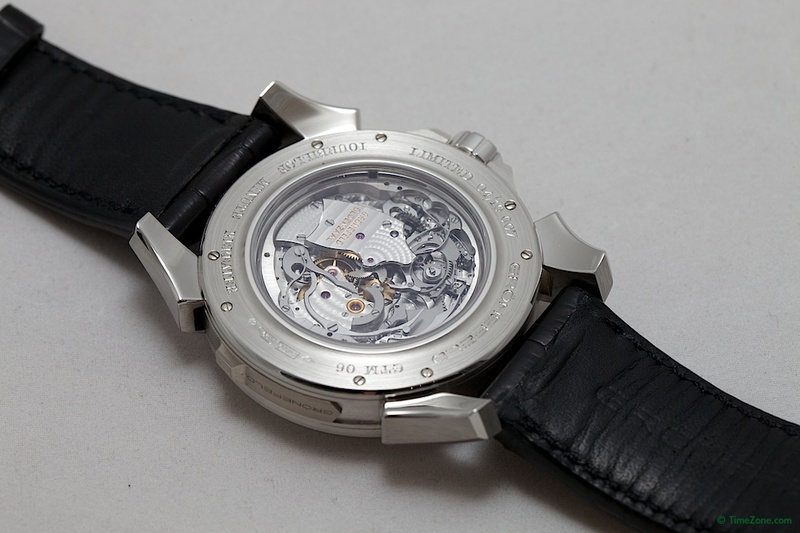 The open dial is framed by a gleaming high-tech Grade 5 titanium case available in two versions: natural polished and brushed titanium or black DLC when the timepiece becomes the One Hertz Techniek Nocturne. 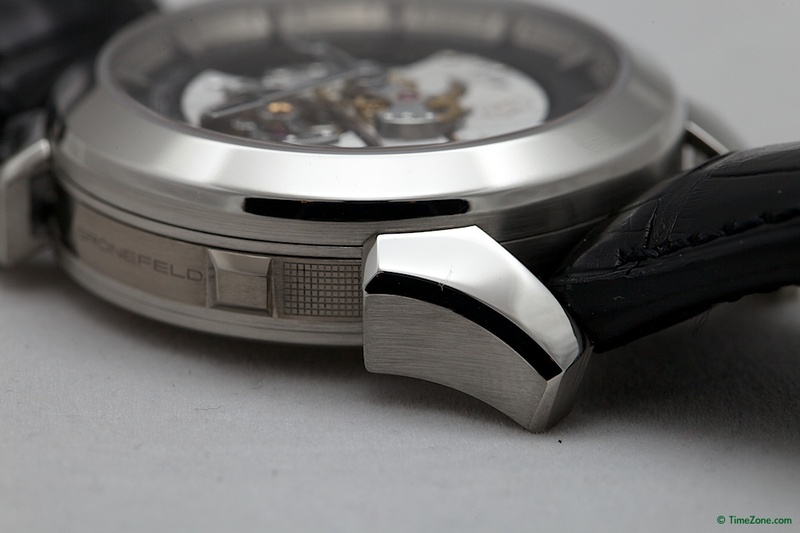 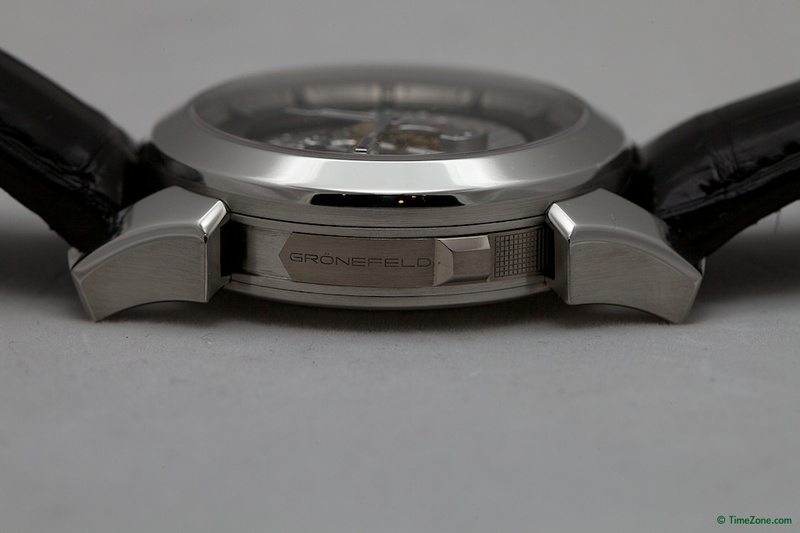 Both versions feature the Grönefeld's own ergonomic winding and setting mechanism, selected by simply pushing the crown in, rather than pulling it out. 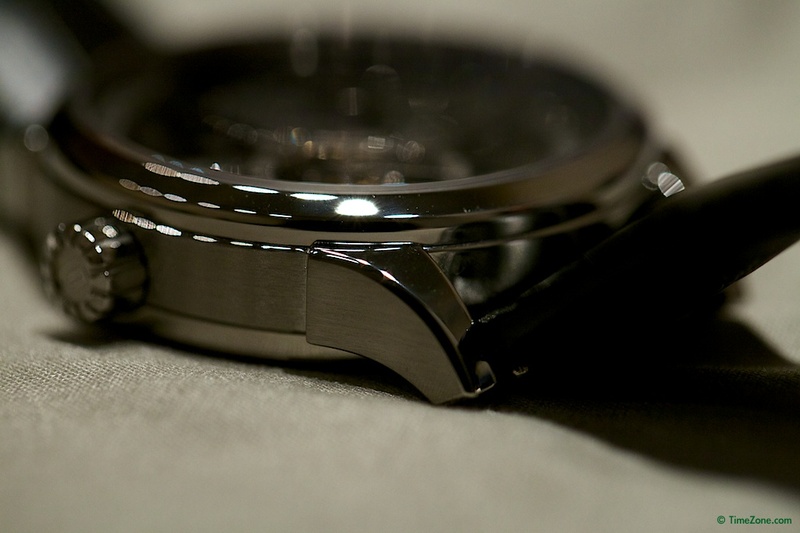 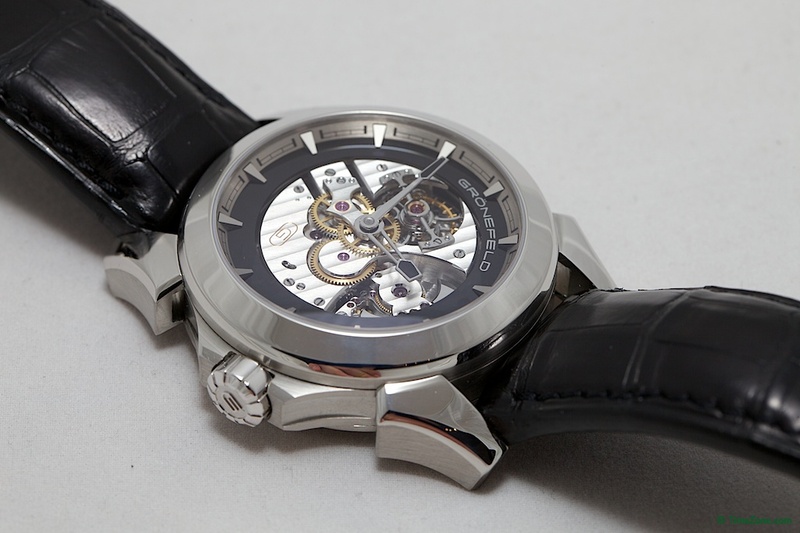 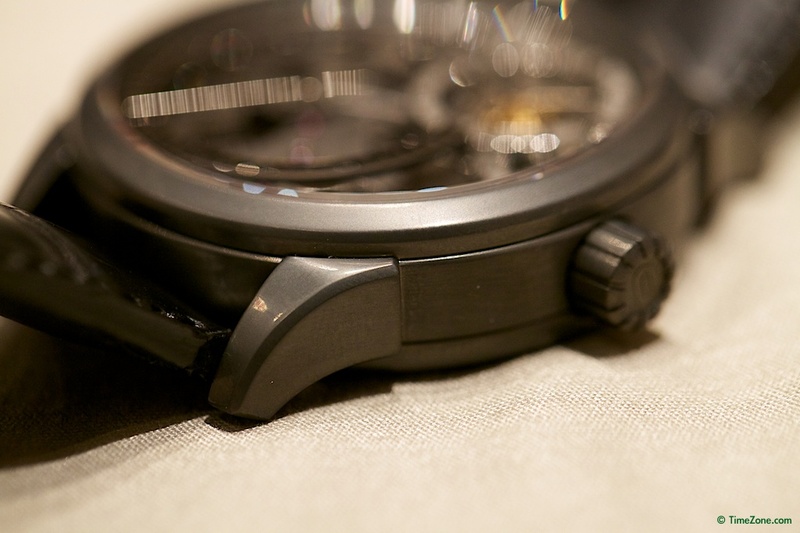 The One Hertz Techniek is a limited edition of 30 pieces in Grade 5 titanium, with either a natural finish One Hertz Techniek or black DLC coated called the One Hertz Techniek Nocturne. 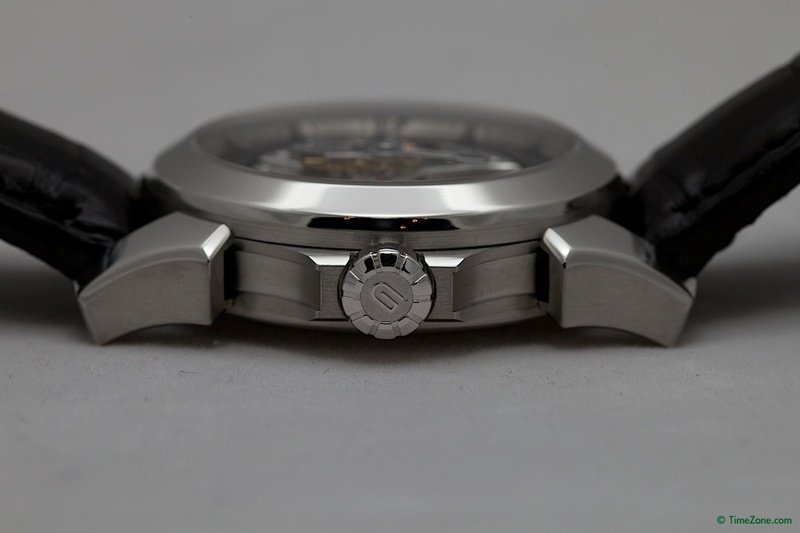 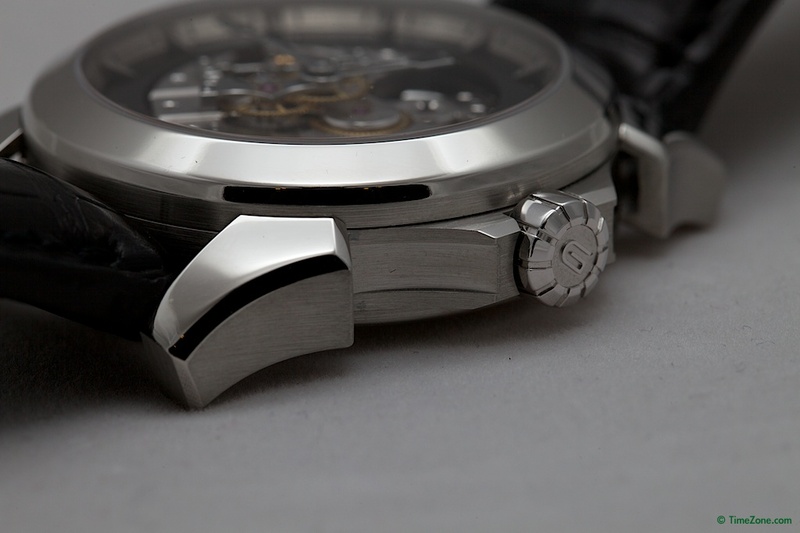 The GTM-06 minute repeater differs from other repeater wristwatches in a number of details. 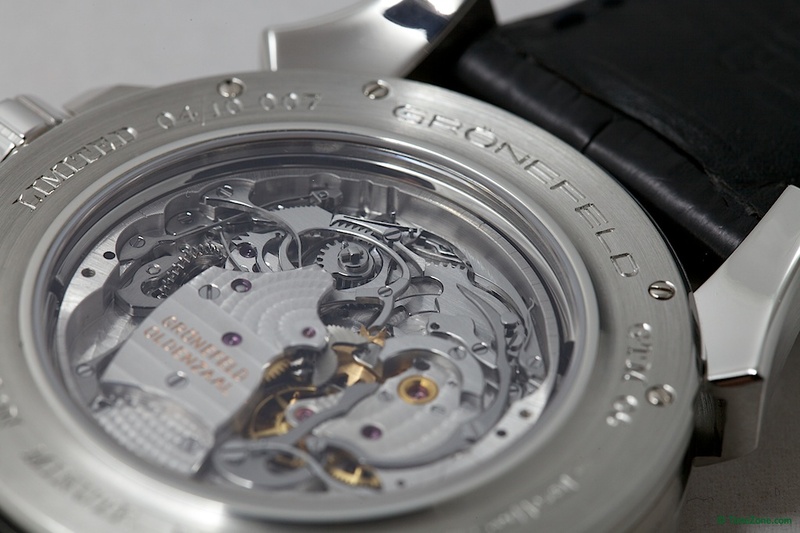 There is an acoustic reason for the large case design (44mm x 15mm) as the generous case volume allows the gongs to develop a full and pure sound. 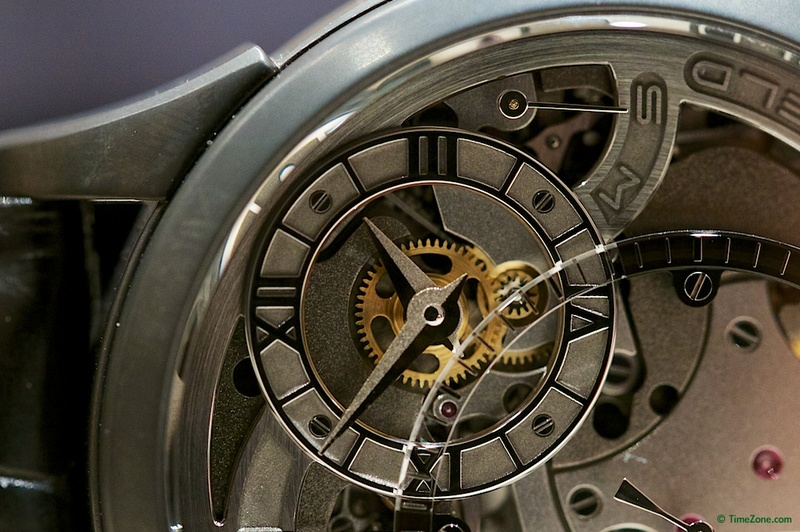 Using specially developed micro-machining techniques invisible from the exterior, the lugs are specially channelled in order to allow the resonance of the case not to be dampened by their mass. 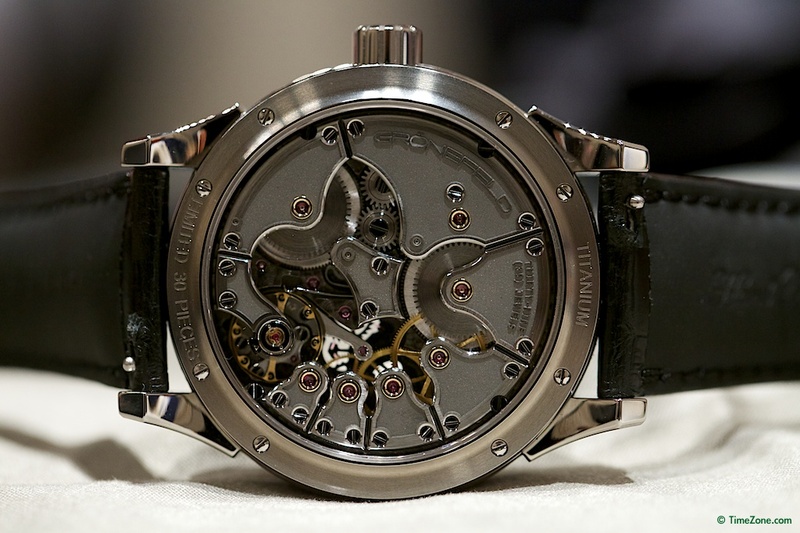 This is the result of much research and development as well as the vast wealth of experience that both Bart and Tim Grönefeld developed in the course of years of developing and listening to minute repeater mechanisms. 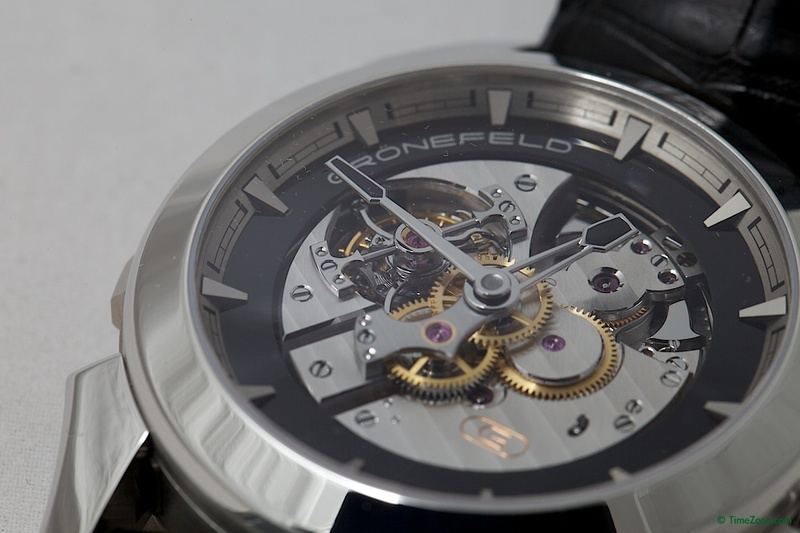 The dial is the top of the superbly finished movement - the calibre G-01 and the modern styled chapter ring of black onyx is adorned with highly polished hour indexes that catch the light at every angle to provide a subtle and discreet view of the time. 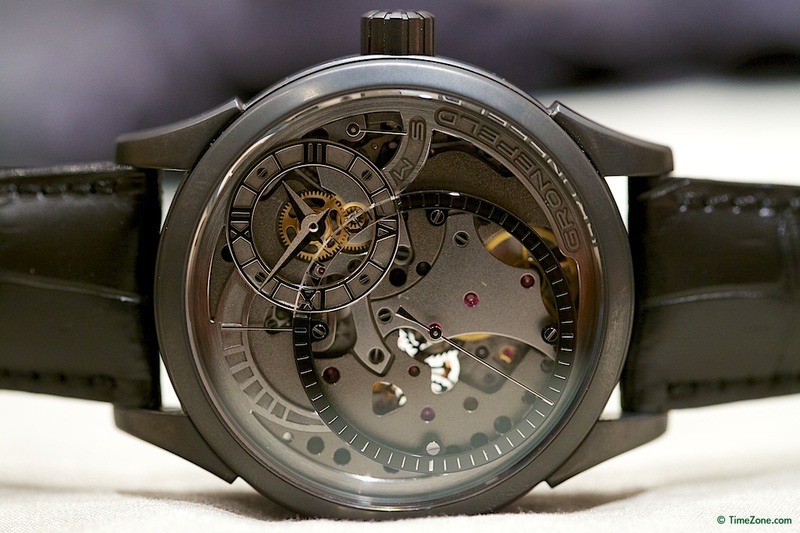 The GTM-06 fetaures the calibre G-01 and utilises a cathedral gong that circles the inside of the case twice, providing the fullest possible tone achievable. 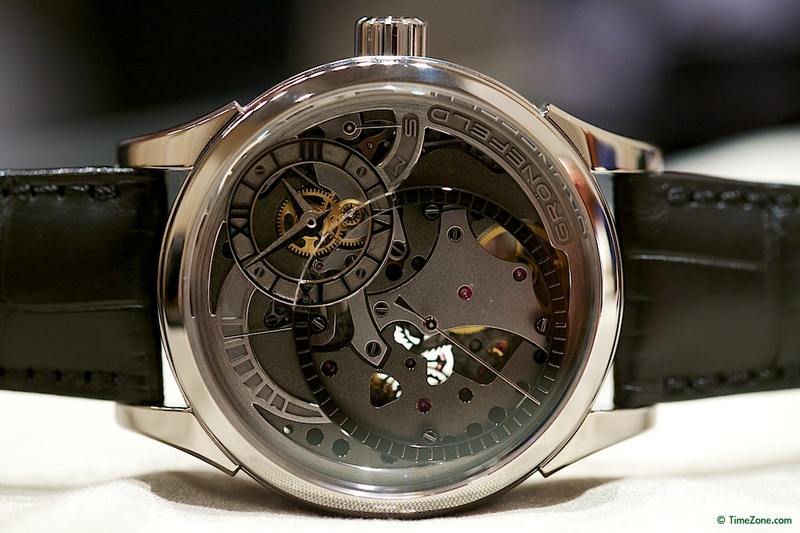 The majority of minute repeaters have a shorter gong making just one circumference of the case. 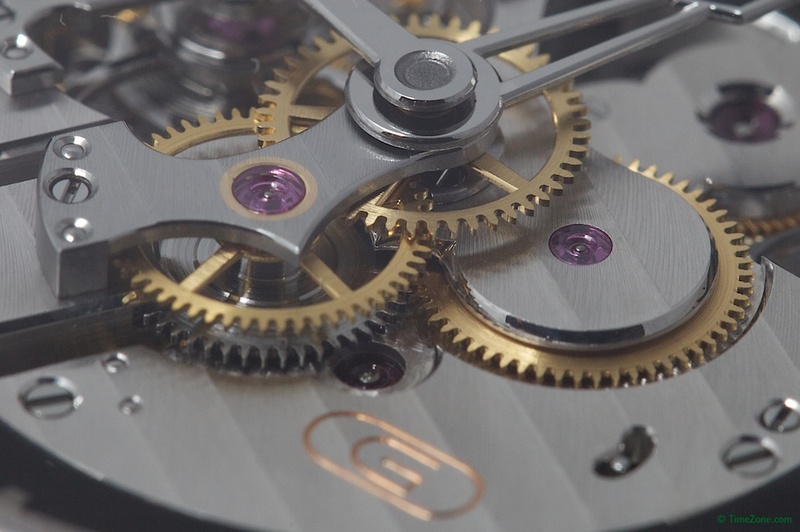 The movement is decorated with Geneva stripes, perlage, anglage and perfectly polished screws, hands, indexes and springs. 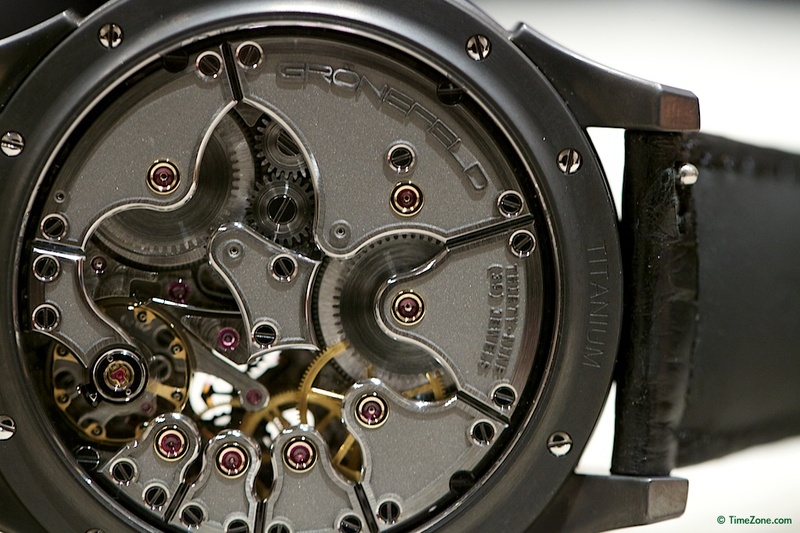 Mirror black polish, the highly demanding fine finishing found only in the most exclusive watches, is used extensively throughout the movement. 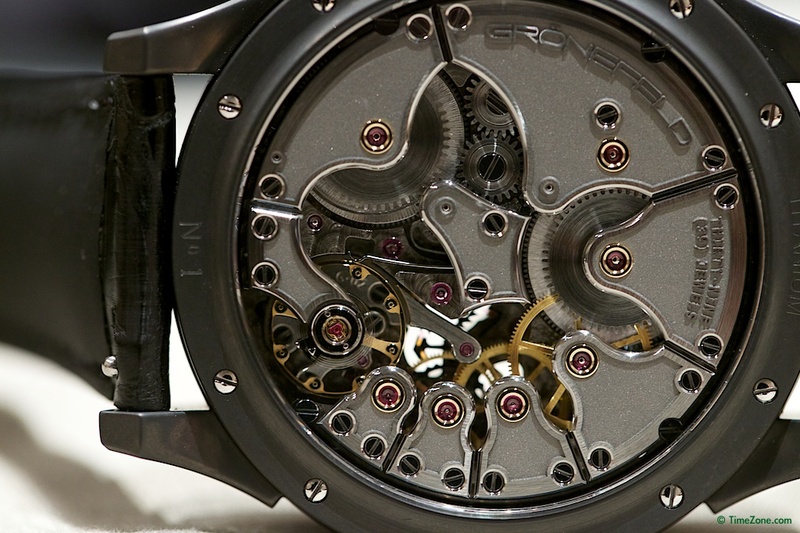 Even those areas never seen by the user are given exquisite finishing on a level that has become increasingly rare in the world of haute horlogerie today. 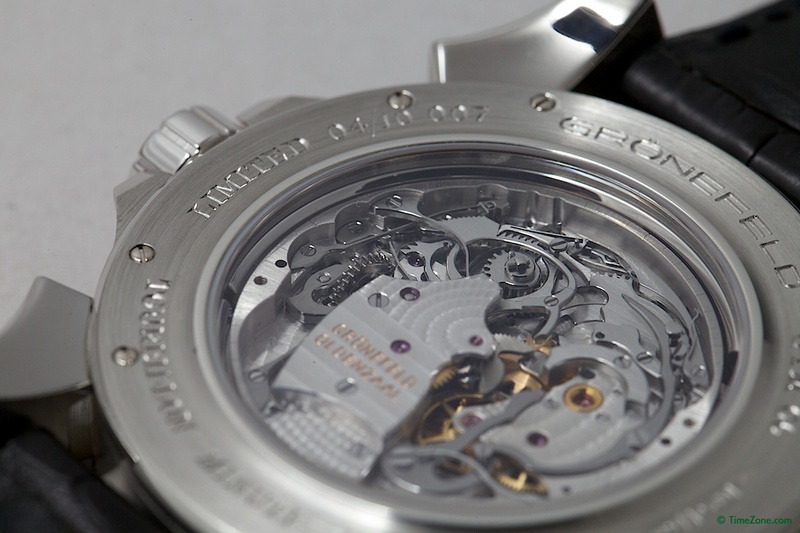 All in all, it takes more than two months of intensive work in several stages just to complete the fine finishing of the components before assembly even begins.